“The SEAB congratulates GBN and GBA for their extraordinary achievements and the work completed over the past year,” said Dr Fay Betsou at the meeting of the Scientific and Ethical Advisory Board (SEAB) of the German Biobank Node (GBN) held in Berlin on 21 September 2018. The meeting was the second in the ongoing funding phase for GBN and GBA. 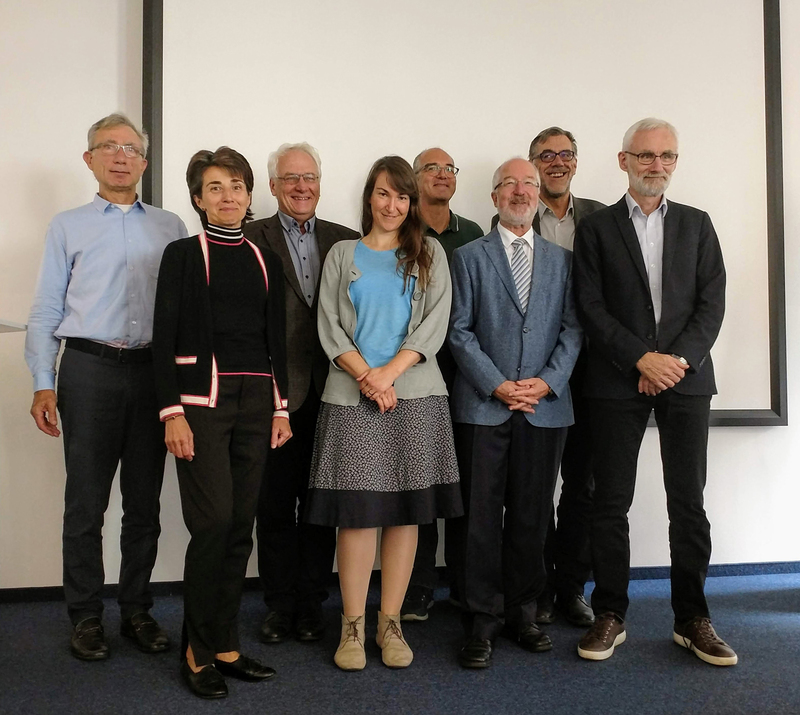 The SEAB members Dominic Allen, Dr. Fay Betsou, Prof. Dr. Johann Eder, Dr. Stefanie Houwaart, Prof. Kristian Hveem, Prof. Dr. Jochen Taupitz, Dr. Gianluigi Zanetti and Prof. Dr. Kurt Zatloukal discussed the project’s progress and expressed their enthusiasm about the outcomes to date. These are unprecedented in Europe and the rest of the world. During the meeting, GBN coordinator Prof. Dr. Michael Hummel gave a live demonstration of the IT search function, among other features. He searched for tissue and liquid samples, and showed which GBA biobanks were able to offer such samples. Further topics covered included GBN’s coordination and stakeholder activities, cooperation with BBMRI-ERIC, public outreach, and quality management. All GBN work packages were reviewed. The advisory board recommended intensifying the interaction with industrial enterprises, and a closer exchange with ethics committees and clinicians. At the same time, GBN should continue to include biobanks that are not yet members of GBA in its activities. The SEAB moreover recommended that the tools and products developed be communicated more widely among the biobanking community, including on the European level. In addition, the collaboration with the German Medical Informatics Initiative (MI-I) is considered extremely important, as is the sustainability of the GBN/GBA project after the current funding phase ends. Click here to read the full feedback report from the Scientific and Ethical Advisory Board.